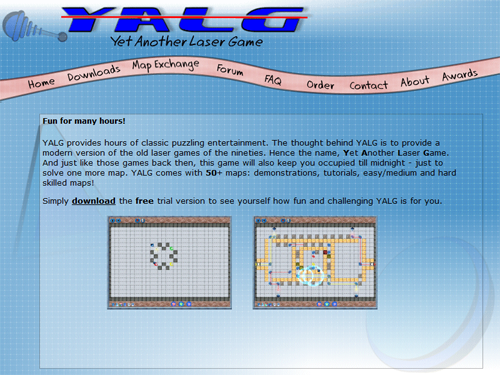 Based upon a classic game called "Laser Light" (YouTube), YALG was a Visual Basic 6, DirectX8 powered remake (2005). All tiles have been modeled in an early version of Autodesk's 3DS Max. The development of the game was mostly just for learning various tiles and maths, eventually it was put online for a few dollars and sold a few dozen times! 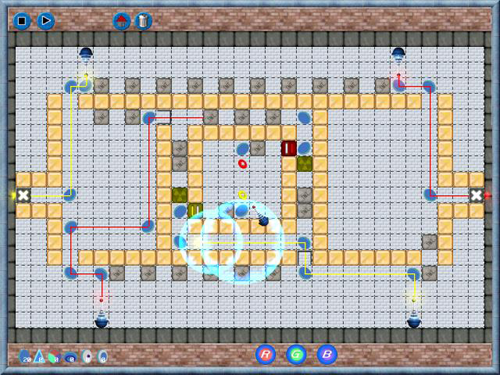 The game featured an editor to create your own levels, which could then be uploaded to the website for everybody to download. The website of the site is still online, which you can visit here: persistentrealities.com/yalgsite. I've always liked the design of the site as well . 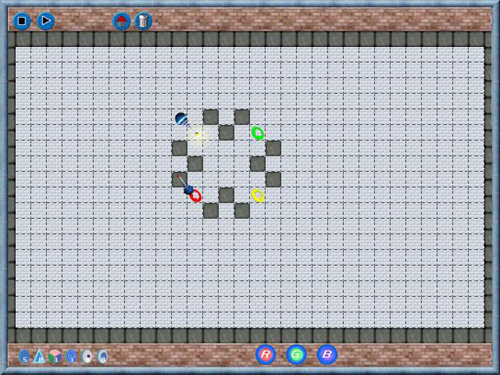 Currently I am pondering if I should try to convert the game to a mobile version for some experimentation again.